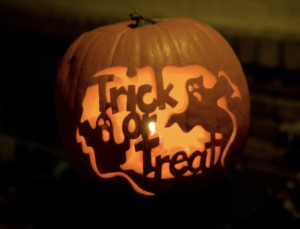 31 OctOut with October–will November be a Trick or Treat? Last week did nothing to dispel October’s reputation as a tough month for the markets. The S&P 500 lost 3.94%, the Dow declined 2.97%, and the NASDAQ dropped 3.78% during what was one of 2018’s most volatile weeks so far. All three indexes are down significantly for the month, and both the S&P 500 and Dow have entered negative territory for 2018. International stocks in the MSCI EAFE also struggled, posting a 3.87% drop for the week, and a 13.31% decline for the year. Currently, many topics are on investors’ minds, from inflation to tariffs to valuations and beyond, but analysts are not pointing to one single culprit for last week’s performance. Instead, a mixture of concerns, with a large dose of emotion, seemed to drive the markets.Emotional reactions are understandable when volatility emerges, but they have no place in long-term investment strategies. Instead, we need to focus on the fundamentals. Examined together, this data indicates that while the economy has potential challenges, it also demonstrates solid growth, reasonable inflation, and strong corporate performance. That story feels different than the sharp drop we experienced last week. Many treats coupled with market declines. Hard to reconcile. Will November follow suit? Looking at the bigger picture, our current circumstances provide another reminder that volatility is normal, and examining economic fundamentals is critical. Still, risks exist, and in the coming weeks we will pay very close attention to data and performance. In particular, we will follow the Federal Reserve’s comments and actions to see what may lie ahead for interest rates. In the meantime, please let us help answer your questions and address your concerns. We are here to help you pursue your goals, in every market environment. Looking forward to connecting with you in the manner you prefer, in person, Zoom/Skype or via email or telephone. Let’s schedule something before year-end.